There’s meat in this music as well as in the PDF file that serves as liner notes to this digital only release. But, despite the title’s reference to a carnivorous animal, especially the Tasmanian devil, there is no hint of frenzied tearing at raw flesh. Rather these eight tracks are evidence of pianist Hannaford’s intelligently analytical, deliberate and sharply focused approach to compositions influenced by his immersion in the atonal and rhythmically complex music of American composer Elliott Carter. Pankhurst and McLean are perfectly attuned to Hannaford’s intent, delivering the intensity and strength called for at times, while at others exhibiting the reserve and subtlety necessary to provide relief. This is not music for the faint hearted, yet is far from inaccessible if the listener can give in and let the currents and eddies have full control. Go with it as you would on a carnival ride that is totally unexpected in its changes of direction and pace, builds expectation through developing patterns of movement, thrills with the robust drive of the chase and slows to periods almost of quiescence and this album will sustain and delight. But struggle against the momentum in a vain search for more easeful and traditional melodies or harmonies and this music will be difficult. A sense of wry humour is always present. It’s easy to imagine an unfamiliar audience requesting “something we know” and getting track three, Something We Know, or calling for “something we can dance to” and getting the final track, Something We Can Dance To. 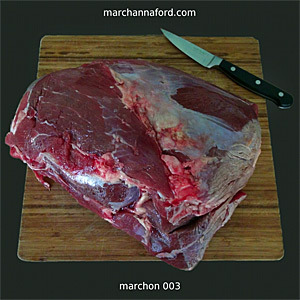 One person’s meat is another person’s poison (to use the PC version of the saying), but even musical vegetarians should get their teeth into Sarcophile, provided they are prepared to get a taste for it. An image from the downloadable PDF of this album. 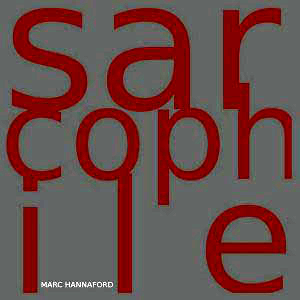 This entry was posted in CD REVIEWS and tagged Ausjazz, Ausjazz blog, CD review, James McLean, Marc Hannaford, Sam Pankhurst, Sarcophile. Bookmark the permalink.